Rheineck Castle goes back to the 11th century. It is located on the banks of River Rhein near Bad Breisig. 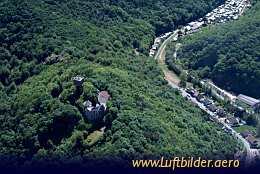 The castle is located at the Vinxtback, where was the border of the Roman provinces of Upper and Lower Germania.